We start Day 6 at the US Open with breaking tennis news: Fabio Fognini of Italy has been suspended from participating any further in the 2017 US Open, and faces a permanent ban from future Grand Slam competition. 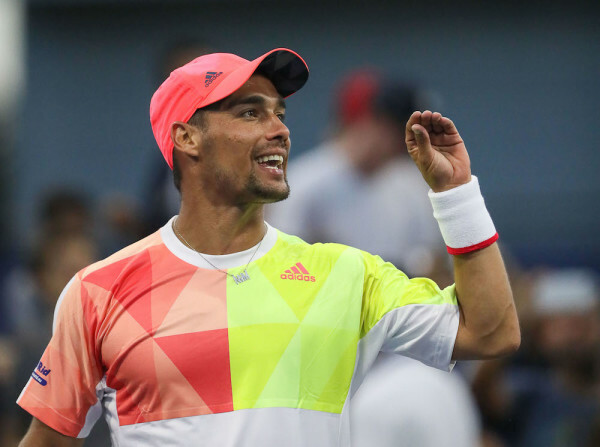 The incident occurred during Fognini’s match against fellow Italian Stefano Travaglia, and Fognini was fined $24,000 for three violations, including one incident in which he insulted a female chair umpire. 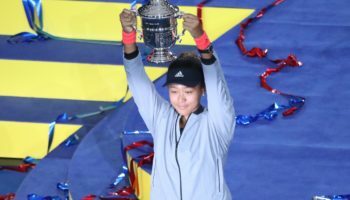 That part has caused the Grand Slam Board to investigate whether a “major offense” was committed, and, if they deem that the major offense was judged to have happened, a lifetime ban from Grand Slam competition is on the table. It’s disappointing. It’s a letdown. But it’s not surprising, especially given the player and his checkered past and previous transgressions that have caused him to be fined. Probably the most disappointing part is the fact that he’s a husband (married to 2015 US Open Champion Flavia Pennetta) and a father. It’s absolutely unbecoming of a person who should have matured, at least a little bit, by now. He’s fun to watch. 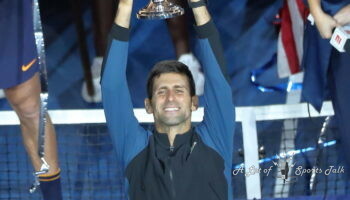 He has great potential, proven by his win here a few years ago against Rafael Nadal. But he is not worth having on the ATP Tour if he is found to have said and done things on the court that constitute a major offense, especially if it’s abuse of a female official. Tennis will move on, as it (and all other sports) always does. Our apologies for that taking away from what will be going on inside of the courts today, but we just had to get that out of our chest. 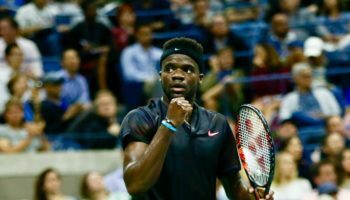 On a much more positive note, we just posted our feature on the Americans vs. Americans phenomenon that was a quirk at this year’s US Open. We guarantee you’ll love the read, as Andrew Leffler put in yeoman service in making this story possible, and yours truly was around to put the finishing touches. As always, know that the “refresh” button is your friend! We’ll be updating you constantly on different matches and storylines…because that’s what we do! Again, the most recent blogs are on top. 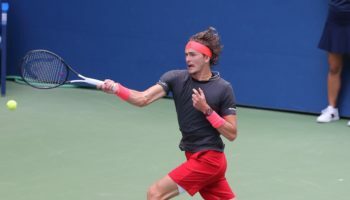 6:27 PM EST: More breaking news: Lucky loser Leonardo Mayer now has four set points in the first-set tiebreak against Rafael Nadal on Ashe (6-2 in tiebreak). 5:55 PM EST: Just finished talking with Jen Brady in the press conference room, and even though she does not say a lot, she is funny. 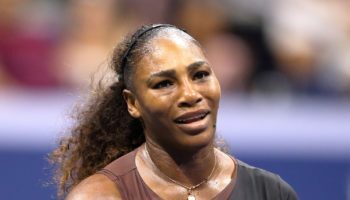 When she fell down on the baseline just two points away from the win, it definitely looked as if she did damage to herself. When asked why she stayed on the ground for a few seconds, she said, “I just liked it there on the ground.” I know the feeling, Jen. Boy, do I know! 5:20 PM EST: Oh, no! Svitolina with a net cord winner from the baseline on match point! What an awesome/terrible way to win. But, despite the hand-raised apology, Svitolina definitely will take the win, a hard-fought 6-4, 7-5 decision over Rogers, who has become one of my new favorite tennis players. I’m not supposed to be biased but she is a great person who is very engaging and has lots of potential. Wishing her continued success on the tour going forward. 4:55 PM EST: Rogers holds for 5-5 after being down 3-5. Multiple-deuce game but she pulled it out. 4:47 PM EST: Rogers breaks! In a game that lasted more than nine minutes, Rogers gets it back on serve! It’s 4-5. 4:30 PM EST: Just saw that Jen Brady just defeated Monica Niculescu in the third set! Another American using the crowd and atmosphere in her favor to pull through! Will face Karolina Pliskova, probably on Ashe, on Monday. 4:20 PM EST: We have made it to the Grandstand and catching Shelby Rogers against Elina Svitolina and, despite the nip-and-tuck nature to the match so far, Svitolina is still in control. So much so that the No. 4 seed is up 5-2, with Rogers serving to stay in the match…Rogers indeed holds and it’s 3-5, with the fans starting to come to their feet to root on the American in this next Svitolina service game.